Say farewell to the ordinary ... welcome to Dirty-Girlz Pottery Parties. The perfect choice for when that special occasion calls for something extraordinary! Whether it's a hen night, birthday celebration, or group gathering, come explore this wonderful stuff called clay. So, gather the ladies - get the party started and have some dirty fun! Just Play Party Evening: Enjoy 2-hours playing with some smooth, silky, sensuous clay. Make pinch pots, coiled bowls or simply just get down and dirty. Each package includes a very generous amount of white clay, materials, tool use, glazes, potter glazing all of your items, hands-on assistance and two kiln firings. Ages 16+. 2-6 spaces. When was the last time you had this much fun? 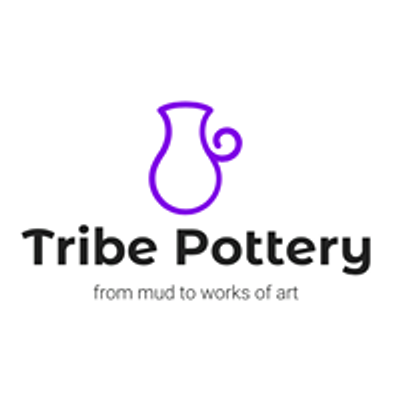 All events are held at Tribe Pottery Studio with free parking. Yourself and a naughty sense of fun. Bring your own celebratory bubbly. Drinks and refreshements are at your own expense and not included in the package. All events must be booked and paid for in full at the time of booking, and at least 48 hours before the event date. Late bookings will be taken at the discretion of the potter. Cancellations with less than 7 days notice will not receive any refund. The potter will have prepared in advance for the number of people who booked. Minimum number of attendees of two (2) is required for the event to run / be viable to the potter. You will be notified as soon as possible if a workshop needs to be rescheduled due to low numbers. *Cancellations* up to 30 days before the event start date will receive a 100% refund. Cancellations up to 7 days before the event start date will receive a 50% refund. If you unable to attend at short notice, please do feel free to have someone come in your place. Note: no refunds available after the actual event. If the potter has to cancel or change the date of the event, then we will aim to give you as much notice as possible and you will be offered an alternative date or a refund. CLAY HEALTH & SAFETY: do not book or attend pottery lessons/workshops if you are allergic to, or react in any way to clay or glazes. The clay used is non-toxic and all glazes are lead-free. An apron must be worn in the studio to avoid clothes getting soiled - this is provided. Do cut long nails down to a short length and tie long hair up, away from face. All tools and equipment used at your own risk.